Magnificent designs and advanced technologies make us who we are, which is, the best NY Masonry Contractors. Our work appeals, looks great and is exactly as you want it to be. The material used is high quality. 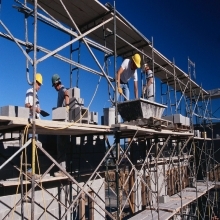 Being the top NY Masonry and Concrete Contractors, we deliver work on time, according to your demands and at pocket friendly prices which never go over your budget!